Kaleidescape today unveiled Kaleidescape Scenes, a new feature of the Kaleidescape System that puts the most memorable moments of your movie collection at your fingertips. Kaleidescape experts have hand-picked more than 4,000 of the funniest, scariest, most action packed and emotionally charged scenes from over 700 of the most popular movies, and more are being added each day. Kaleidescape System owners can now experience their own movies in a completely new way, by scene surfing the movies in their collection. These entertainment "snacks" are perfect for those times when you don't have two hours to watch an entire movie. 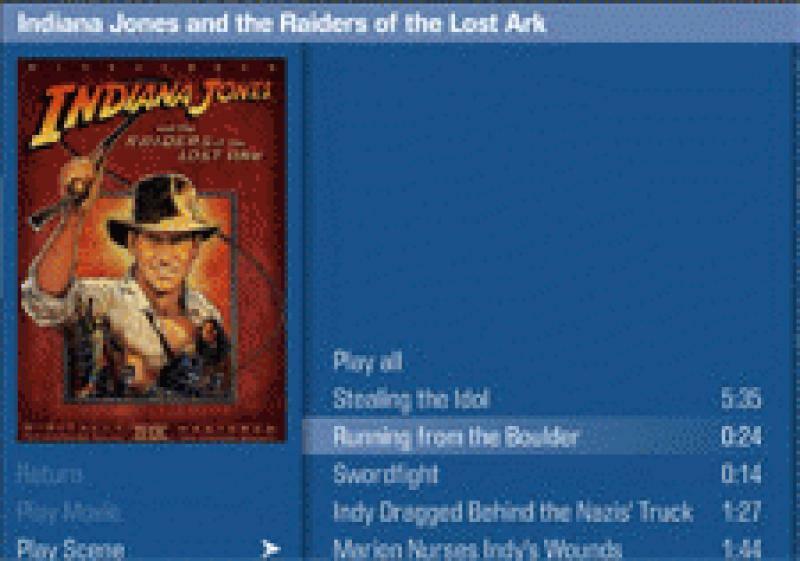 "I rediscovered Indiana Jones running from the boulder in Raiders of the Lost Ark, and then jumped immediately to Casablanca's 'Here's Looking at You Kid'," said Greg Young, a Kaleidescape owner from Clovis, CA. "My Kaleidescape System reconnected me with these movies and many more." "The way the scenes are organized makes it simple to give a fantastic demo, whether I'm selling to a client or the client is showing his theater to a friend," said Jim Goodrich of CineLife, LLC in Honolulu, HI. Kaleidescape Scenes is available today, to every Kaleidescape System, in KEAOS 4.2, and the scenes database is part of the exclusive Kaleidescape Movie Guide. KEAOS and Movie Guide updates are distributed automatically, without dealer or customer intervention.